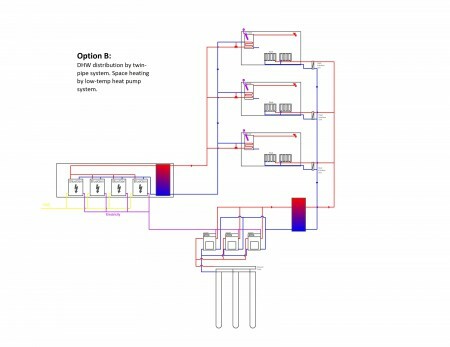 We at Matrix have degree qualified engineers in both Heating and Sustainable Energy, possessing the necessary skills and experience required to offer the full package in terms of designing a system that is affordable, fit for purpose and designed to save the greatest capital and carbon possible. We talk to clients assesses needs and engineer practical systems that are easy to install, maintain and operate, producing: calculations, site feasibility assessments, CAD schematics, compliance documents with constant communication through to project completion. We have experience in managing projects from the stage of concept to the point of commissioning and have subcontracted our services to architects other consultants, installers and large construction companies. We also have a wealth of experience and technical knowledge in integrating renewable technologies to any application, domestic commercial or industrial enabling bespoke systems that consistently deliver energy savings and robust functionality. Whether you want a system designing for your household, business or you are another renewable energy installer and want a system engineered to your needs / specification then please get in touch today so we can have a proper chat about the quality service we can provide to you.